Dan Johnson, called up by the Blue Jays from Triple-A Buffalo on July 11, made his Toronto debut that same night against his old team, the Tampa Bay Rays, and had the most interesting stat line in his new club’s 8-5 victory. 0 AB, 3 R, 0 H, 0 RBI, 4 BB, 0 SO. Though Johnson couldn’t get a hit, he still made a huge contribution for Toronto. The Blue Jays’ newest DH was still was able to reach base in all four plate appearances and, more importantly, came around to score three times – including the tie-breaking run in the ninth inning after he had drawn a leadoff walk against the struggling Grant Balfour. Definitely an odd and crooked-looking line score. This reminds me of a couple of weird-looking stat lines for Tom Candiotti, where he lost a couple of games despite allowing zero earned runs. 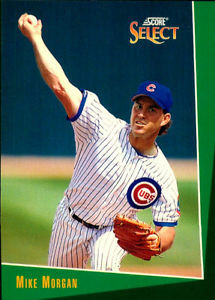 Same with John Smoltz, who lost a pivotal game to the Philadelphia Phillies in Game Four of the 1993 NLCS. Let’s start with the Smoltz game, with the Atlanta right-hander owning a career postseason record of 5-0 with a 2.13 ERA in nine starts heading into the October 10, 1993 contest against lefty Danny Jackson (a playoff veteran himself) and the Phillies. Thanks to a Mark Lemke error at second base in the fourth inning, the Phillies scored two runs off Smoltz to take a 2-1 lead. The Braves almost tied it in the eighth when they put two runners on with two outs and erratic closer Mitch “The Wild Thing” Williams took over for Jackson. Lemke, looking to redeem himself for the earlier fielding error, took Williams’s second pitch to deep left – which would have tied the game but leftfielder Milt Thompson made a circus catch to end the inning. Atlanta then put two runners on to lead off the ninth but Williams fielded Jeff Blauser’s sacrifice bunt attempt and threw out the lead runner at third base, before inducing Ron Gant – arguably the league’s best clutch hitter down the stretch – to hit into a game-ending double play. The Phillies won 2-1 to even the series at 2-2, and then won the next two games to clinch the NL pennant. 6.1 IP, 8 H, 2 R, 0 ER, 5 BB, 10 SO. It was Smoltz’s first career postseason loss – despite the fact he struck out 10 Phillies and gave up zero earned runs. What was interesting too, was that reliever Mark Wohlers walked three and struck out five in two hitless innings, meaning Atlanta pitching struck out 15 Philadelphia hitters but the Phillies still prevailed . Then, on to Tom Candiotti. 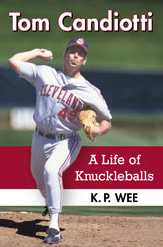 On August 3, 1990, the Cleveland Indians knuckleballer took a no-hitter into the bottom of the eighth inning at Yankee Stadium. He retired the first two batters and was four outs away from history, with a 4-2 lead. The Yankees had scored two runs in the first inning on a hit batsman, an error by second baseman Jerry Browne, a Candiotti wild pitch, and an RBI groundout by Mel Hall. With two outs in the eighth, Steve Sax walked before Jim Leyritz reached on an error by shortstop Felix Fermin. 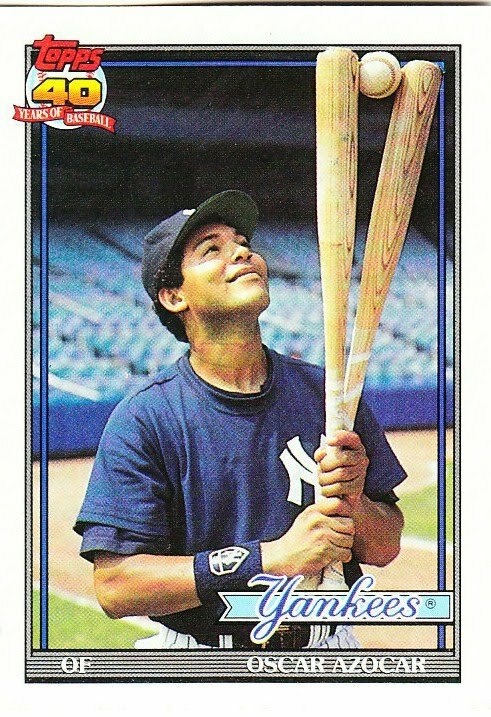 Yankees rookie Oscar Azocar, in his first month in the majors, broke up the no-hitter with a single up the middle, cutting the deficit to 4-3. 7.2 IP, 1 H, 5 R, 0 ER, 2 BB, 7 SO. All five runs off Candiotti were unearned because of the fielding errors by Browne and Fermin. Then on June 30, 1995, Candiotti was pitching for the Dodgers against the Colorado Rockies, and gave up two first-inning runs because of an error by third baseman Tim Wallach. At the time, the two runs seemed insignificant because Rockies starter Kevin Ritz was just 11-24 with a 5.78 ERA going into the season, and you would figure a lineup featuring Mike Piazza, Eric Karros, and Raul Mondesi would do some damage against a mediocre pitcher. Unfortunately, the Dodgers couldn’t touch Ritz, who gave up just three hits over six shutout innings (though he also walked five and struck out only one). Karros finally homered off Curtis Leskanic in the ninth to break the shutout, but the Dodgers couldn’t get the tying run home in the 2-1 loss. 7 IP, 4 H, 2 R, 0 ER, 2 BB, 7 SO. It was as good a start as Candiotti had had at Yankee Stadium five years earlier – but again only good enough for a loss. It would be that type of a season for the knuckleballer, who went 7-14 despite a respectable 3.50 ERA for a first-place Dodger team . Funny stat lines – they happen in baseball from time to time, and thanks to Dan Johnson for reminding me of these couple of examples. Kent Mercker, who also appeared in the game for the Braves, recorded two outs but did not issue a walk or notch a strikeout. Teammate Ramon Martinez was 17-7 with a 3.66 ERA.